Network sharing makes sense for the operators in this day and age when ARPU keeps going down and users expect more from their networks. The picture above shows the different components that can be shared to increase the cost savings. 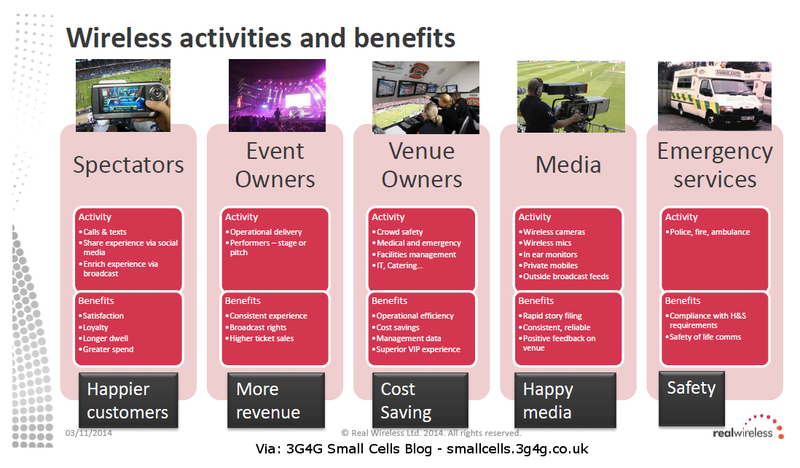 What's your view on multi-operator Small Cell solutions? 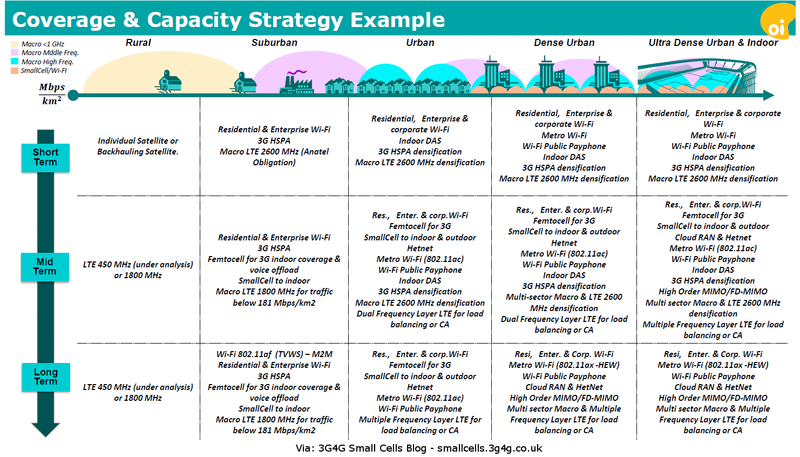 Historically, there were a number of factors holding back adoption of multi-operator Small Cells, ranging from commercial aspects to technical aspects such as managing how the available capacity is shared between operators. 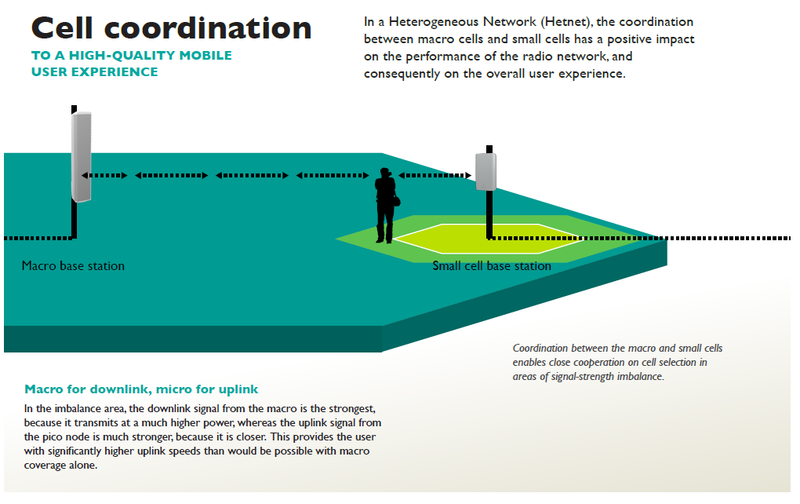 However, two 3GPP standards (MORAN and MOCN) have been defined which allow the same Small Cells to be shared between networks. 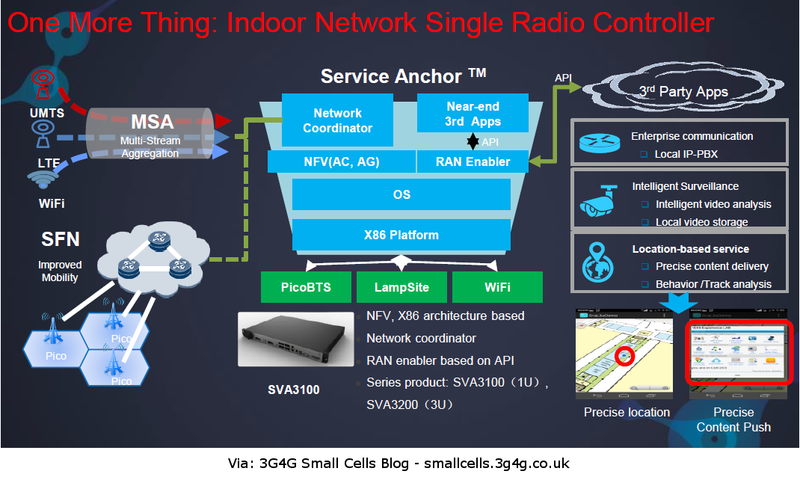 Can't Small Cells support multi-operator without DAS? 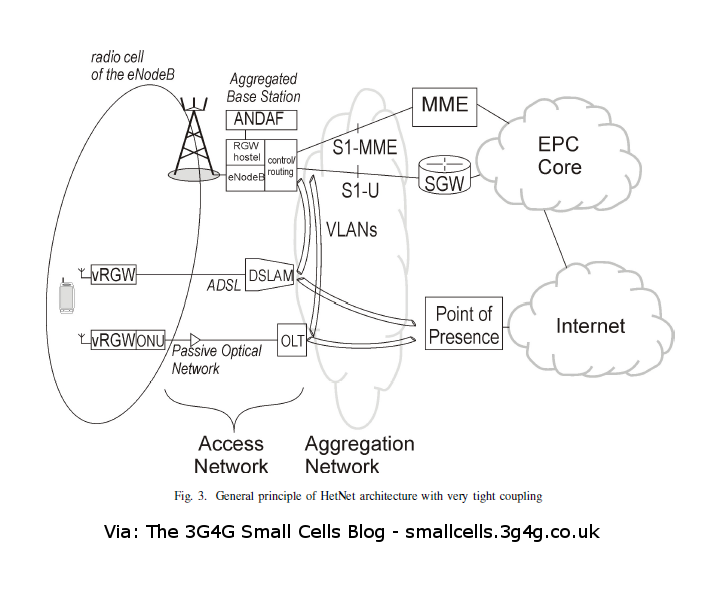 There are two existing 3GPP standards which do make this technically feasible. Both are already in commercial use today. 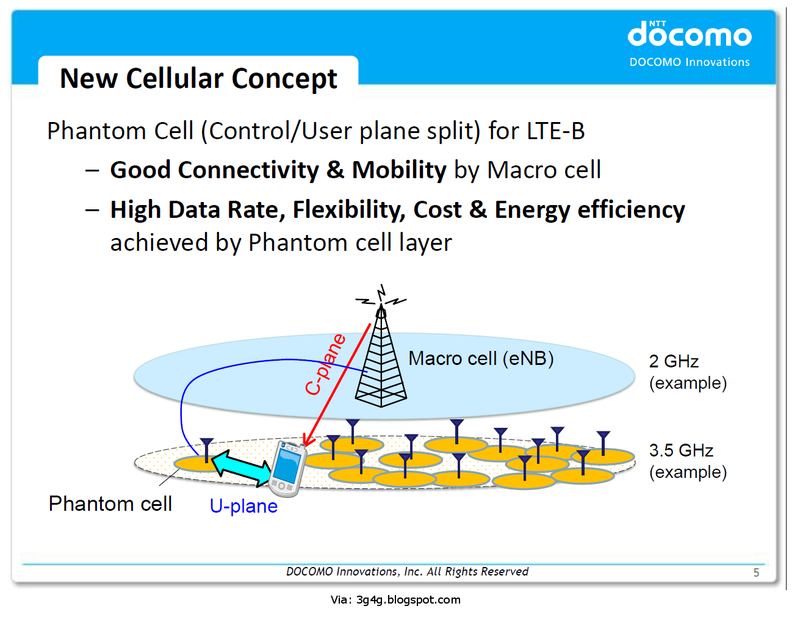 MOCN (Multiple Operator Core Network) is a network sharing concept that is fairly straightforward to implement, similar to network roaming. 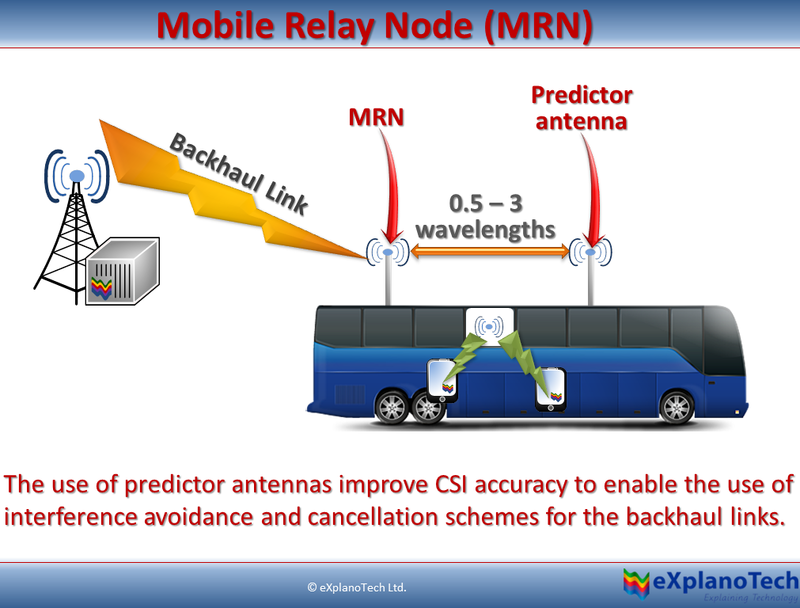 MORAN (Multiple Operator Radio Access Network) is more involved, providing a deeper integration and requiring more software within the small cells. 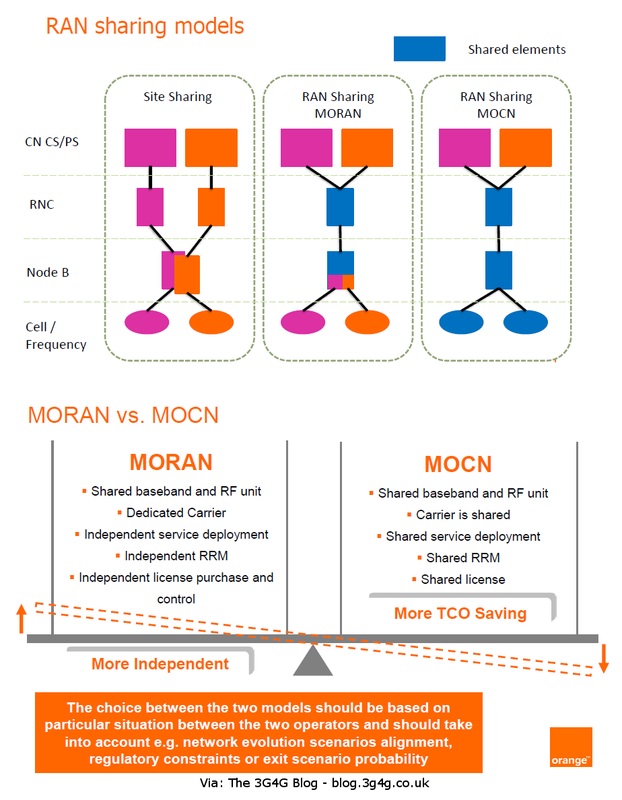 Some of our key customers are already using MOCN, but I see MORAN being the long term future – sharing the RAN as an end-to-end resource rather than just connecting through the core network. I can see a major challenge as we move outdoors to the streets where practical deployment constraints won't allow multiple small cells to be strung from the same lamp-posts. I covered this RAN sharing in the 3G4G blog earlier here. 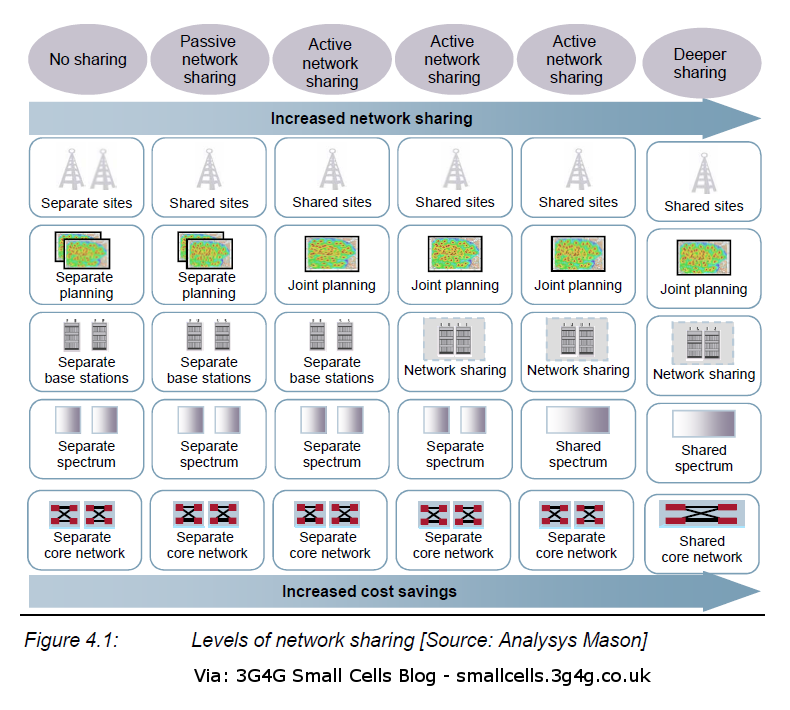 While the above picture is for the UMTS network, the LTE network sharing would be similar. 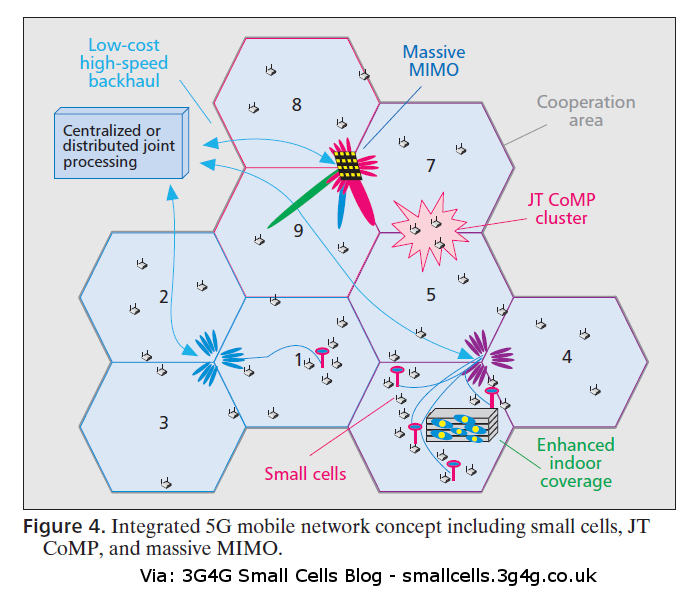 Embedded below is a research paper that discusses the various approaches and to small cells network sharing and also features some case studies. We had this last set of forecasts back in February, here is a new one up to 2019/20. The slides and the video is embedded below but I want to mention few things here. The first being that in the last year (or since the beginning of this year) the main change that has occurred is the availability of Voice over WiFi (VoWiFi), either as native or as an app, has become a commonplace. 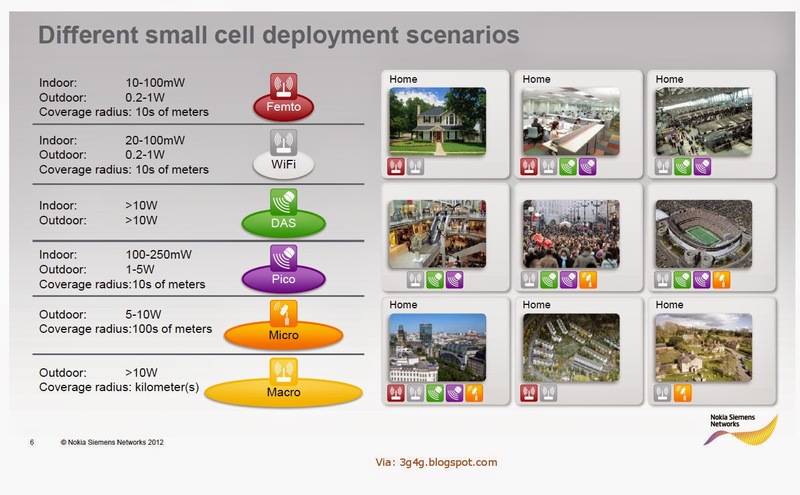 What this means that some small cells deployments are no longer high priority and has been pushed back. 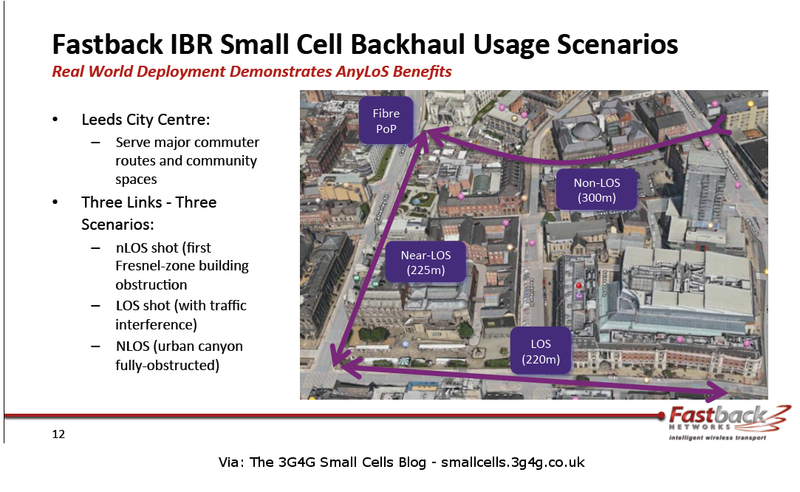 On the other hand some operators are conscious that small cells can provide a better QoS than WiFi hence they are going ahead with Small cells deployments. Please feel free to leave your opinions in the comments below. Qualcomm is a big fan on Inside-out as can be seen here. 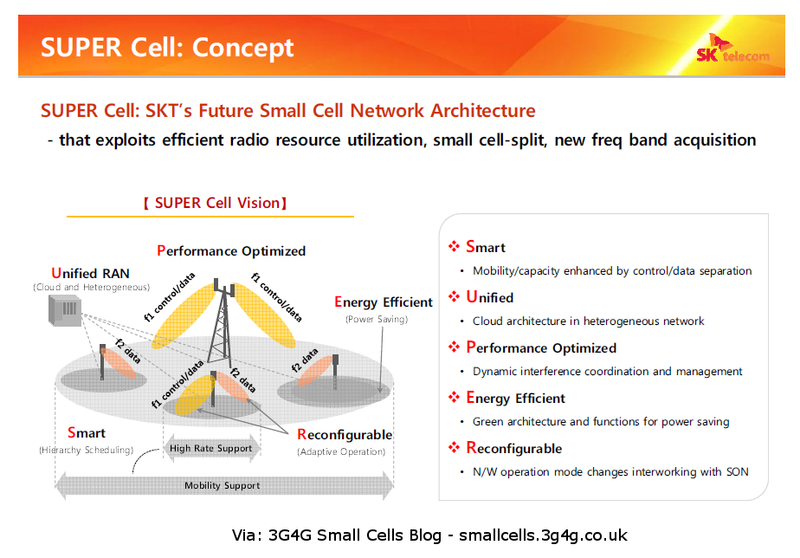 Other small cell manufacturers support the inside-out approach too. The question is, does inside-out approach matters any more. By next year many operators and devices will support VoWiFi in native client. Which means that even if your coverage is poor or non-existant inside, you will still receive voice calls and text messages. Data will continue over WiFi as normal. An argument in favour of cellular is better/guaranteed QoS as in VoLTE and maybe new services can be available faster but private WiFi best (or no) effort is not bad generally. 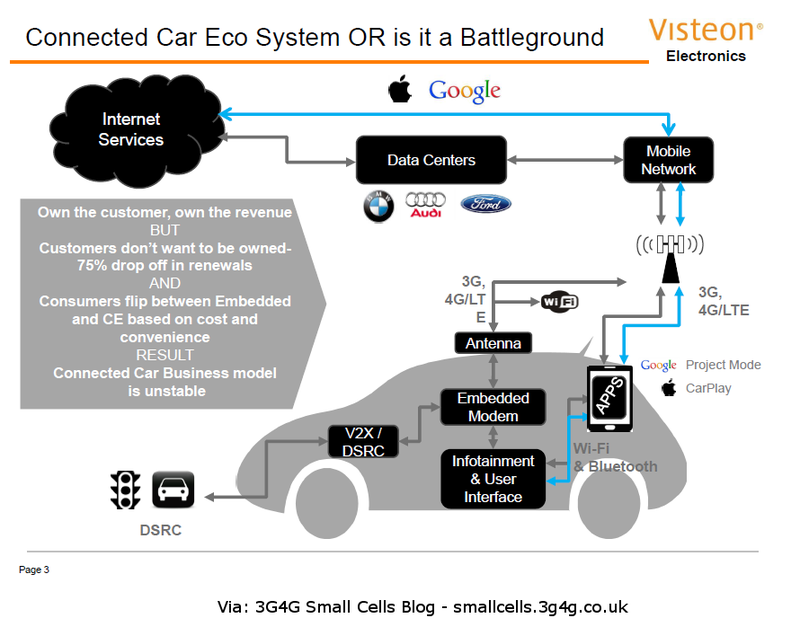 First there was this report that "You might not need a mobile carrier by 2020". It makes this bold statement: In Europe, many cell phone owners have already ditched their wireless carrier. But Wi-Fi isn't quite widespread or robust enough for most Americans to completely ditch their wireless carrier just yet. In all honesty, I have never come across anyone that has ditched their mobile network operator and now relies entirely on Wi-Fi. I certainly know of people who now don't even bother switching on their WiFi because their cellular coverage is extremely good and have flat pricing. 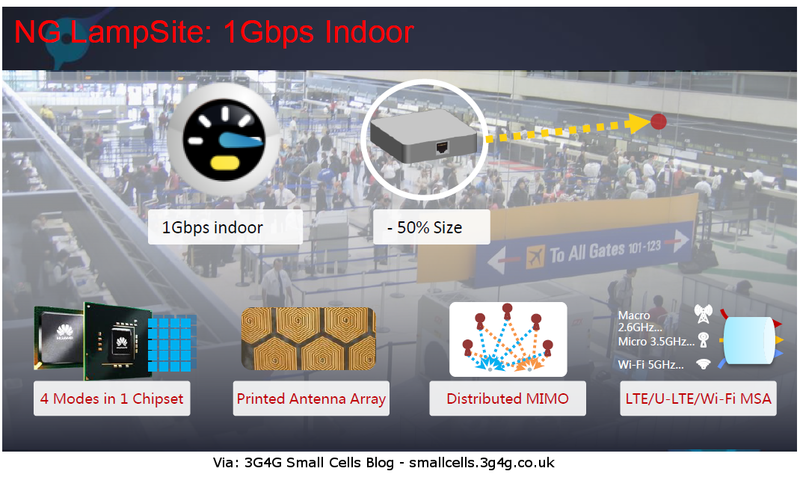 Joe Madden, a respected analyst of small cells, recently said the following: "Even if we exclude homespot deployments, the number of Wi-Fi access points will reach the level of millions for cable operators and public venues during 2015, outstripping the capacity of new LTE base stations. Several large mobile operators have made a gigantic blunder, by ignoring the opportunity to deploy Wi-Fi or utilize Hotspot 2.0 –so cable operators and other service providers are jumping on the opportunity. Homespots add another dimension, with massive crowdsourcing of capacity. The total Wi-Fi capacity deployed by service providers worldwide could match the 'data tsunami' in terms of raw capacity over the next five years, although of course there are obvious limitations in mobility and QoS." While you may be thinking Wi-Fi '1' and Small Cells '0' a thing to remember is that WiFi still has some way to go to sort out the security stuff. This article highlights how easy it is spoof a WiFi AP, the one you have trusted in the past and easily access personal Info. I strongly suggest that you read this article. One may argue that some of these issues will be gone with HS2.0 and other new security mechanisms these problems will vanish. One has to remember though that since WiFi uses unlicensed bands, and since the technology has been around for ages, its easy to get cheap equipment and it may not exactly be illegal to have equipment running in this band. Cellular on the other hand relies on licensed spectrum and has a very strong authentication mechanism which may get around such basic insecurity info (though to some extent this can be hacked, depending on operator policies on the UICC/SIM card). 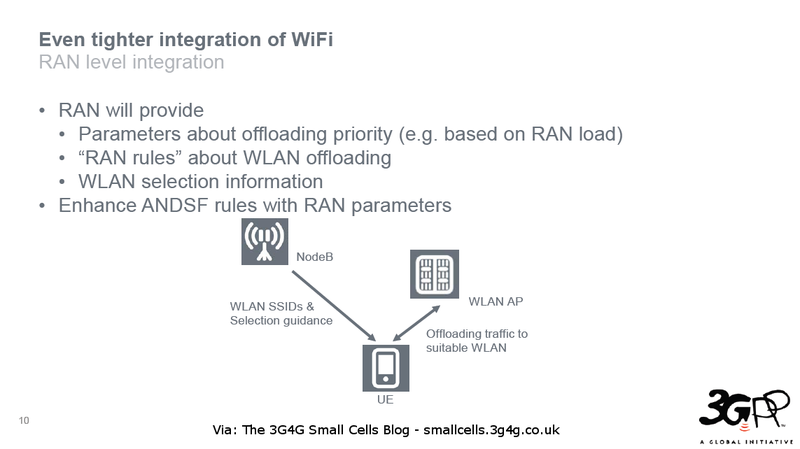 Dr. Kim Larsen, recently did a presentation where he looked at the economics of Small Cell and WiFi and in what situations both of these make sense. His presentation is embedded below. Most Smartphone based WiFi traffic happens at Home, believing this traffic is offloaded is rather foolish! 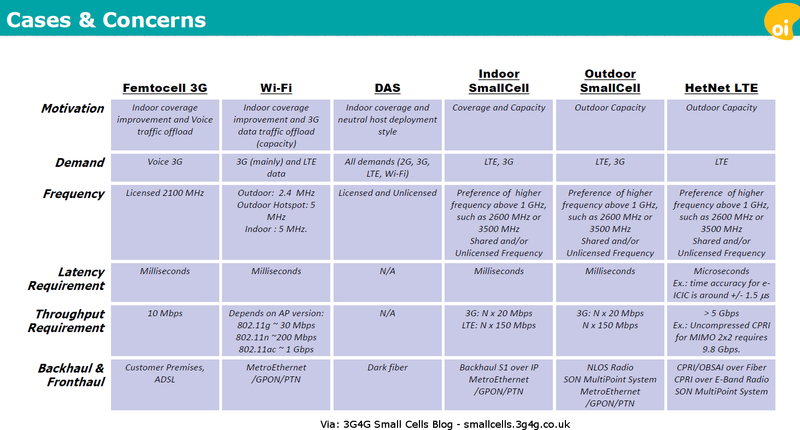 Why do we like WiFi so much & why cellular have so many challenges matching consumer expectations! 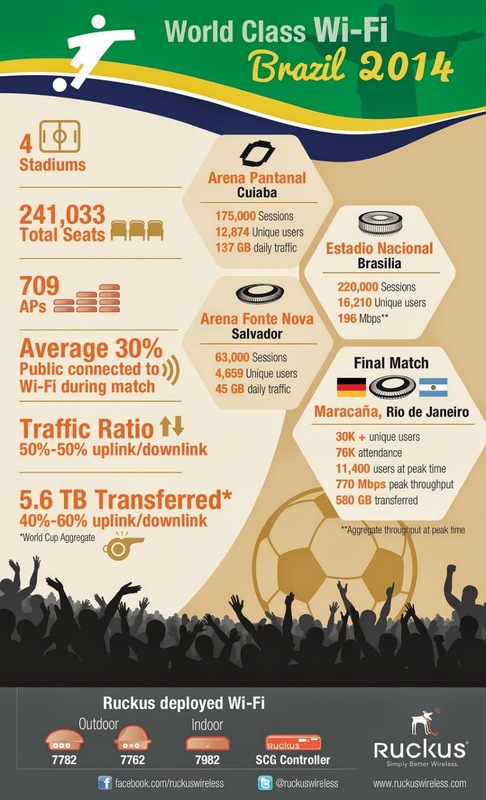 WiFi has the consumer perception of being 1 Fast, 2 Almost Free & 3 Unlimited...Brilliant Branding! 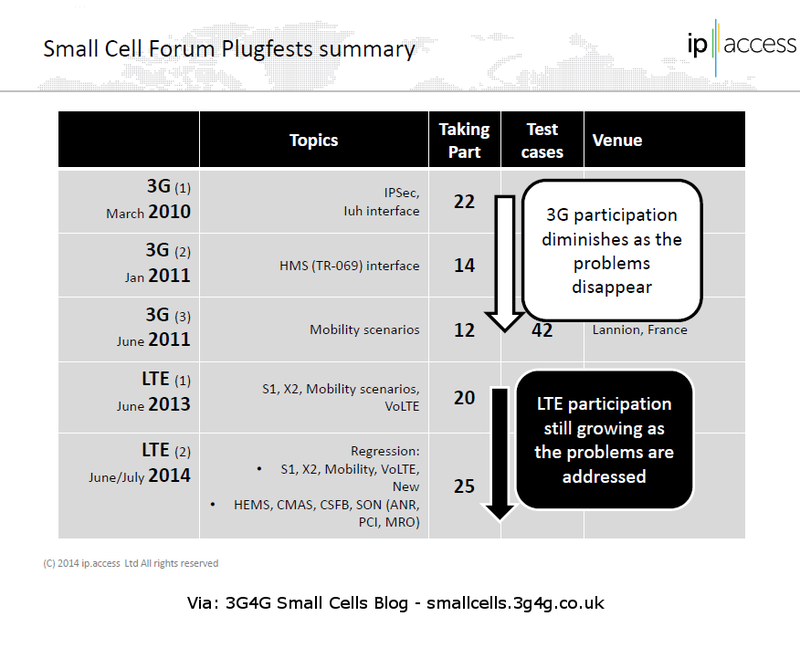 Mobile Operator WiFi off-loading strategies should consider mitigating potential & substantial cellular revenue loss! 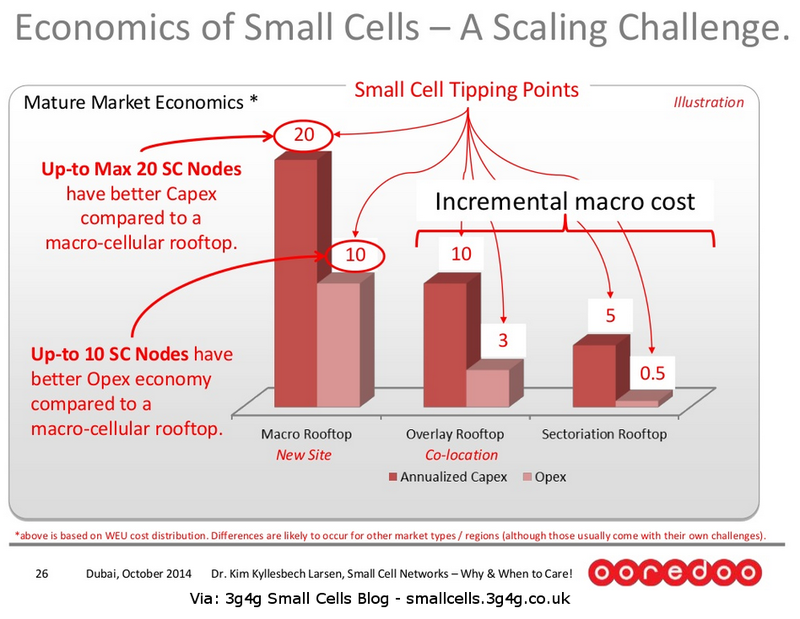 Cellular expansion options have been exhausted! you control fixed & mobile sides of the customer experience & value chain! Competitive Pressures .. ultimately is likely to be a loss-loss scenario! A good panel discussion video from HetNet2014 conference. 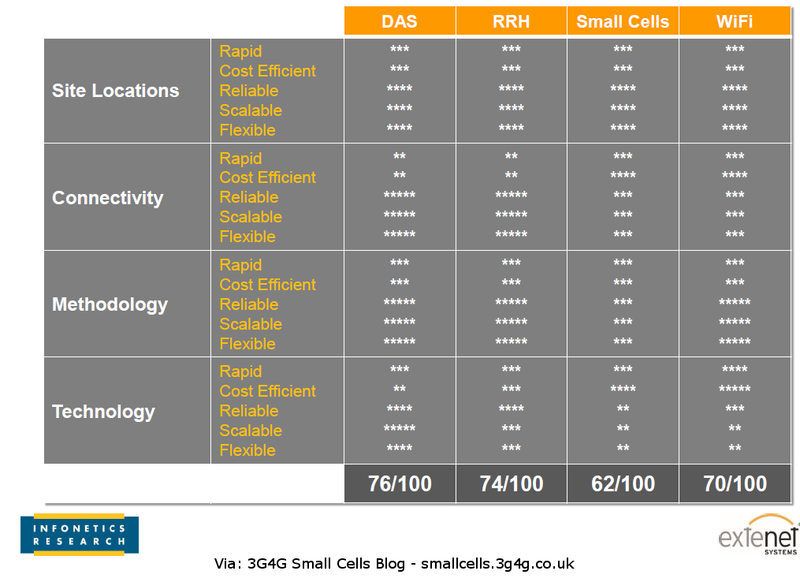 I think the image above would be useful for someone wanting a quick recap of the different types of small cells. Barry McLaren of Ericsson, John Bramfeld of Advanced RF Technologies, Asad Vaince of Boingo Wireless, Mark Reynolds of the University of New Mexico and Jeffrey Funderburg of AT&T talk rapid changes in the mobile broadband industry at the HetNet Expo 2014 (#HetNet2014). Technology changes in the mobile broadband space are happening more rapidly than ever. Wireless service providers are rolling out LTE, with Advanced LTE and Voiceover LTE on the horizon. In parallel, 802.11a/c is being added to the Wi-Fi technology mix and Passpoint-certified devices could be game changers. This panel explores the perspectives from the wireless service provider, original equipment manufacturer, neutral-host provider, systems integrator and end user on how they are adapting—and getting ahead of—the rapid pace of change in the industry. How does the latest upgrades impact what you do? What do you envision 5G to be and will we realisitically see it? Is 5G going to get rid of the problems thats keeping you awake in the night. Is it going to make things simpler? 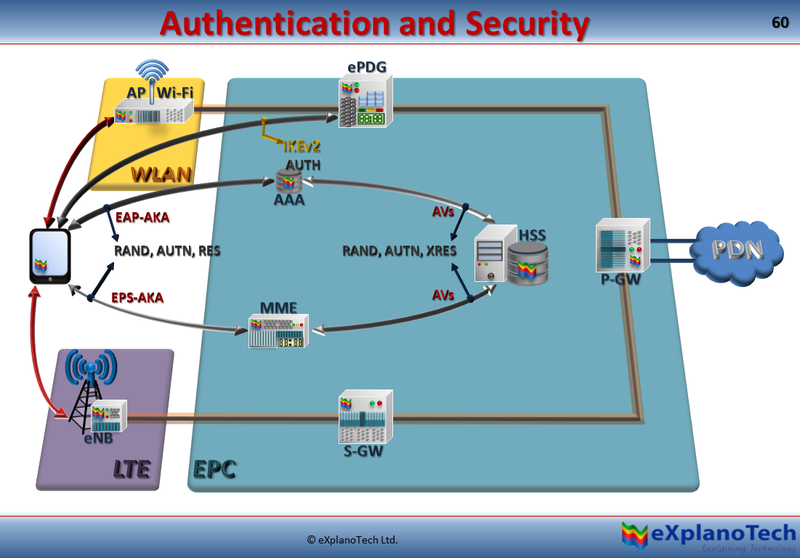 How is HS2.0 and Passpoint, helping WiFi rollout and offloading? 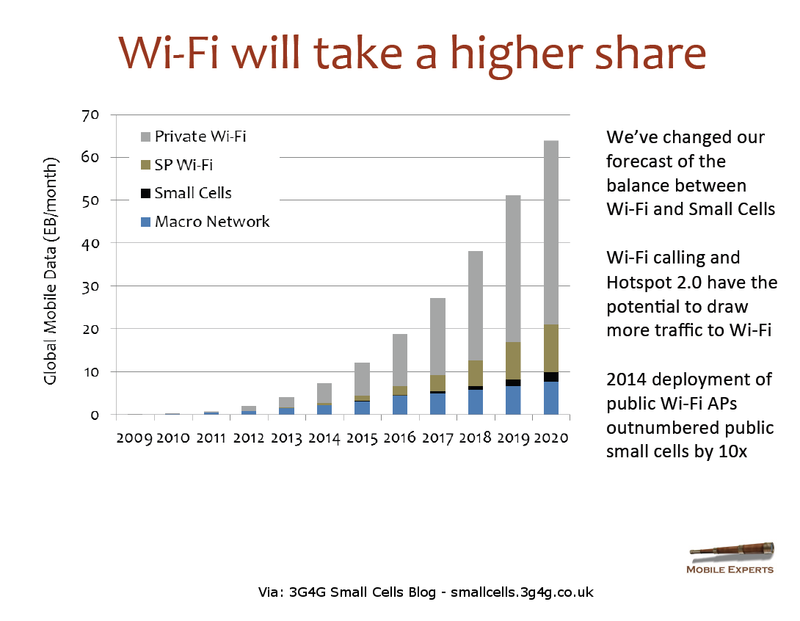 Are the advances in WiFi going to make Small Cells irrelevant or are they going to work together? 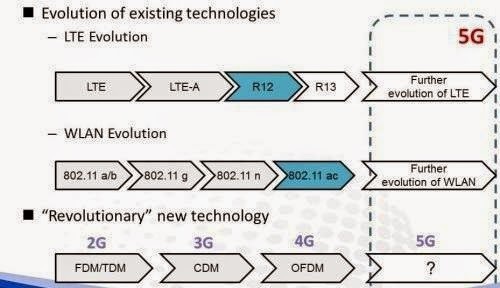 What does the migration path look like for a move from CS Fallback to VoLTE with limited handsets available? Is there a quality issue with VoWiFi? 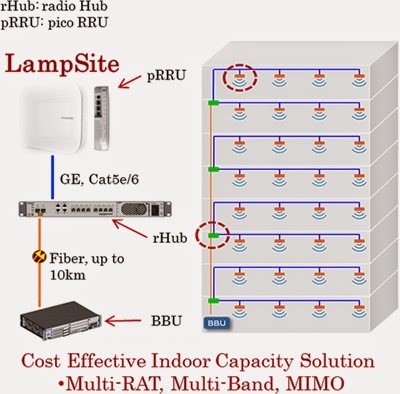 LampSite includes a comprehensive set of BBU, RemoteHUB(rHUB) and PicoRRU(pRRU) products along with accompanying transmission solutions. The compact pRRU supports multiple bands and modes and can simultaneously support LTE TDD, LTE FDD, UMTS and GSM. A LampSite indoor coverage network can also be deployed simultaneously with Huawei’s SingleRAN solution. Thanks to BBU’s baseband sharing feature, one fiber is used for several cells, saving up to 87% of fiber typically used for indoor deployments. rHUB connects to pRRU by cable, and support power over Ethernet (PoE) to simplify site construction and reduce total deployment costs. In an early deployment phase, individual pRRU cells aggregate into one cell to reduce interference. 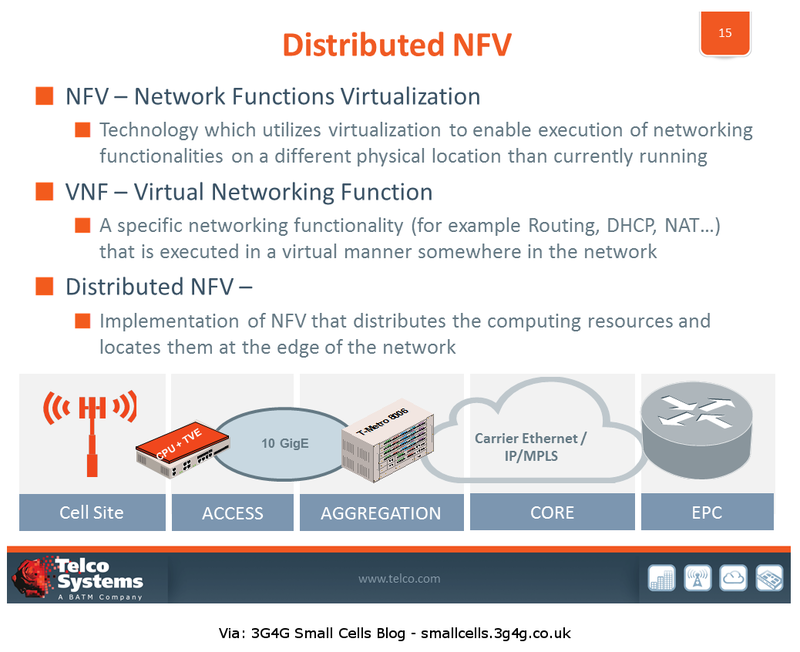 Once the network offloads heavy traffic, the cells are split again and Adaptive SFN is enabled to balance capacity and interference. Huawei iManager system and evaluation tools are then used to accurately monitor and intelligently optimize indoor hotspot traffic. This innovative solution has not only helped them to win contracts with China Unicom, TDC Denmark and Telenor Norway but according to TMN magazine article, "Huawei is shipping more than 10,000 PRRUs (Pico Remote Radio Units) per month in some countries and regions for its LampSite in-building system, according to Peter Zhou, Huawei's President of Small Cell & WiFi, Wireless Network." Recently Huawei and Telenor also won an award in the LTE World Summit for "Innovation in HetNet Development". With Huawei’s LampSite, Telenor is able to provide average downlink throughput of 46Mbps at any location in a building and significantly cut costs. Deployment of each pico Remote Radio Unit takes only three hours – from site survey, through installation, commissioning, to going live, ensuring rapid rollout in areas with weak signal penetration. 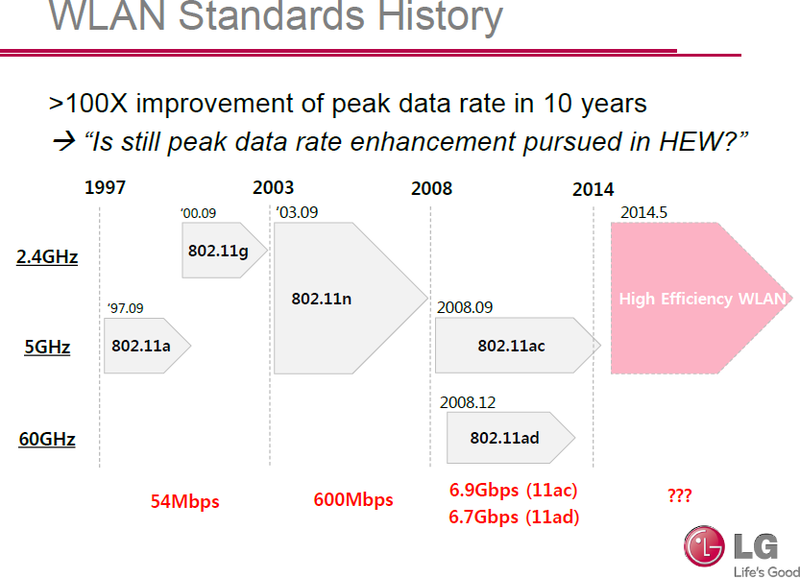 Based on presentations in different events, looks like Huawei is not complacent with its achievements. It plans to develop the next generation or NG Lampsite to achieve 1Gbps Indoor throughput with whole lot of technologies to help achieve this. Multi-stream Aggregation (MSA) being the key. See my earlier post on MSA on the 3G4G blog here. 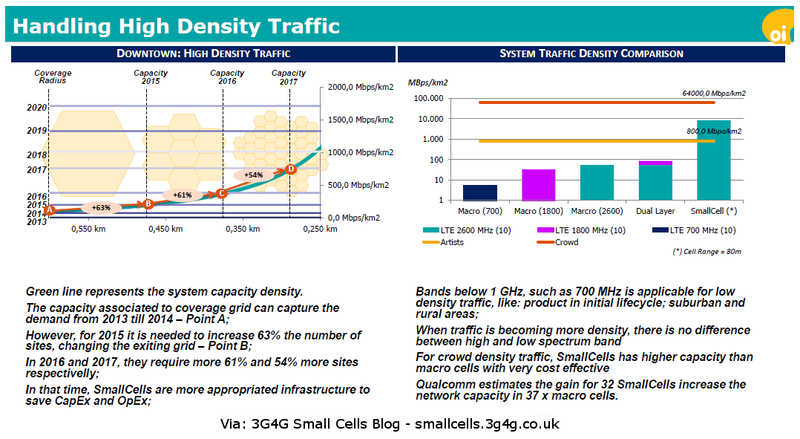 While the Small Cell Forum defines the different types of Small cells clearly and these Small Cells can be said to contain the complete/partial functionality of the eNodeB, 3GPP definitions of Small Cells can be a bit fuzzy sometimes. 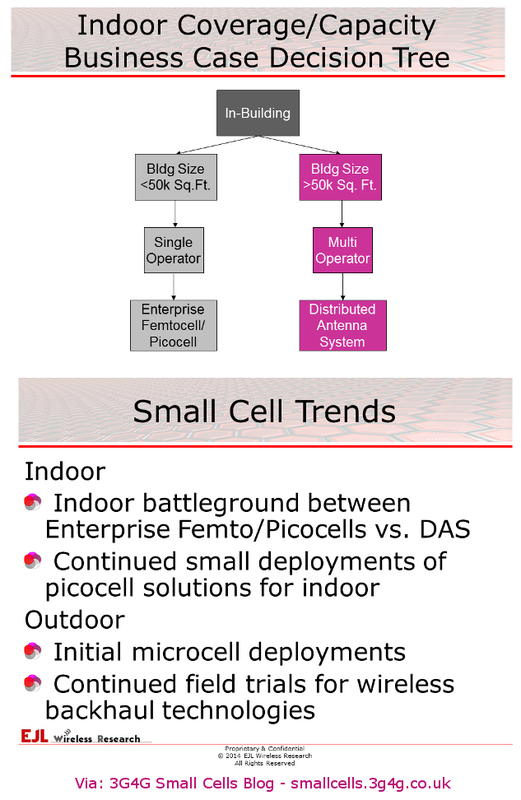 Generally, in the 3GPP documentation, there is a reference to Femtocells and Picocells. 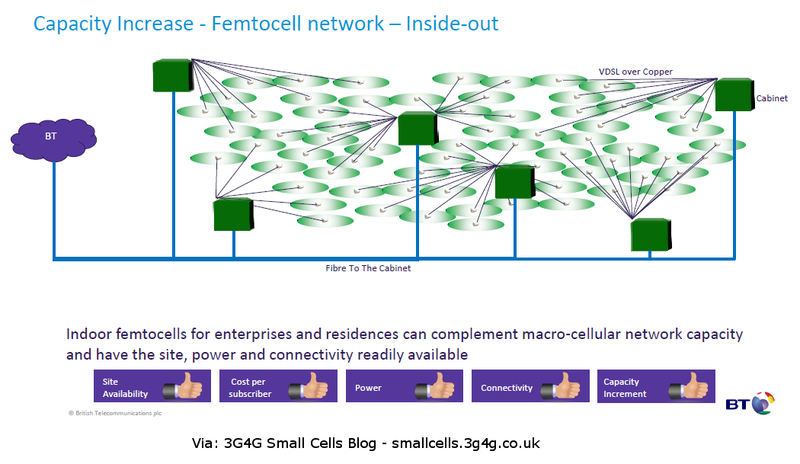 Femtocells are Small Cells that are defined as Closed Access (see my old post here) by 3GPP. 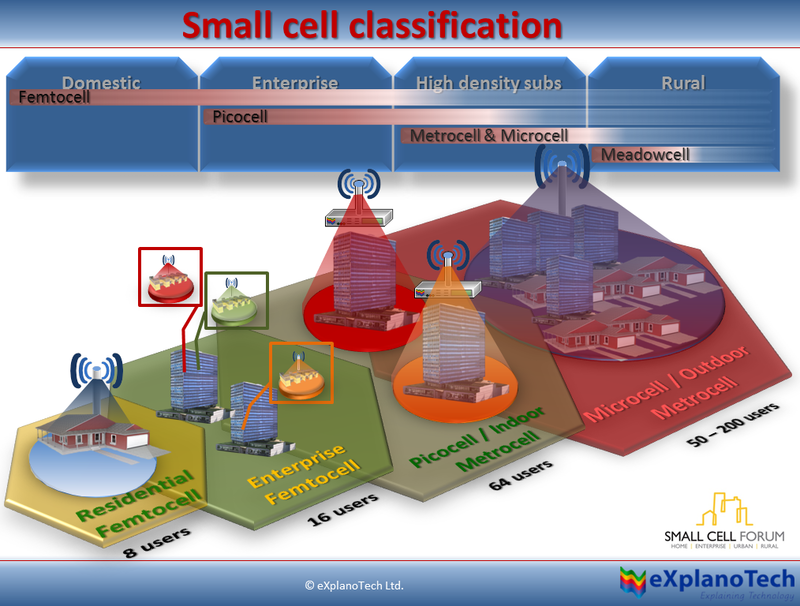 The open access small cells are referred to as Picocells. 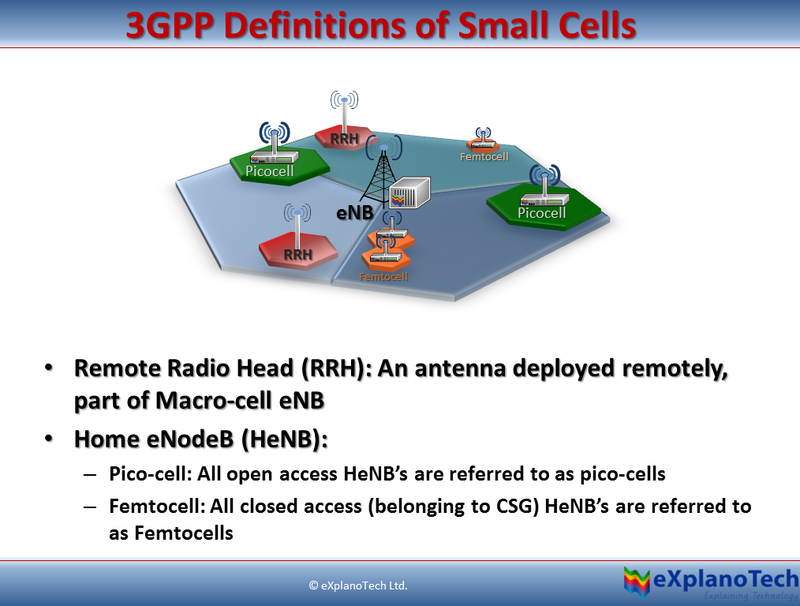 Sometimes remote radio heads (RRH's) are also referred to as Small cells, open access type. 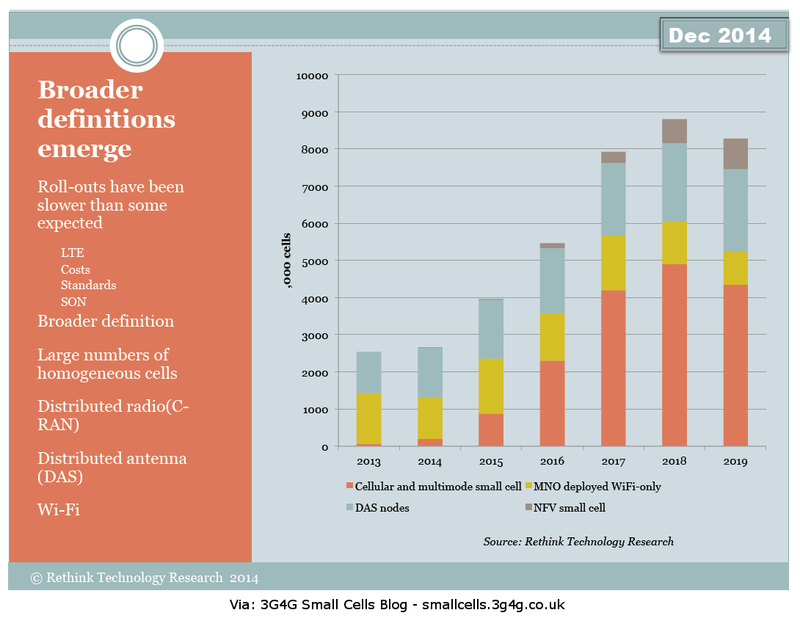 Relays, even though not referred to as Small Cells by 3GPP, is also referred to as Small Cells by some people. 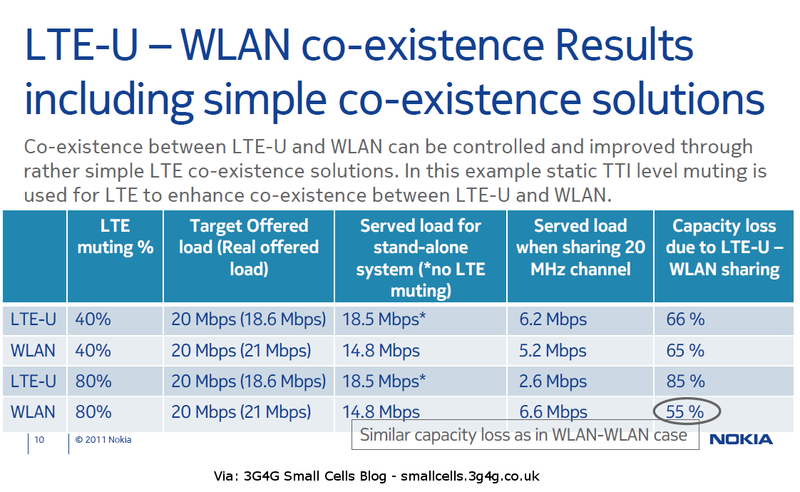 I first wrote about LTE-U (or U-LTE as referred by others) back in December last year pointing towards the Qualcomm presentation here. 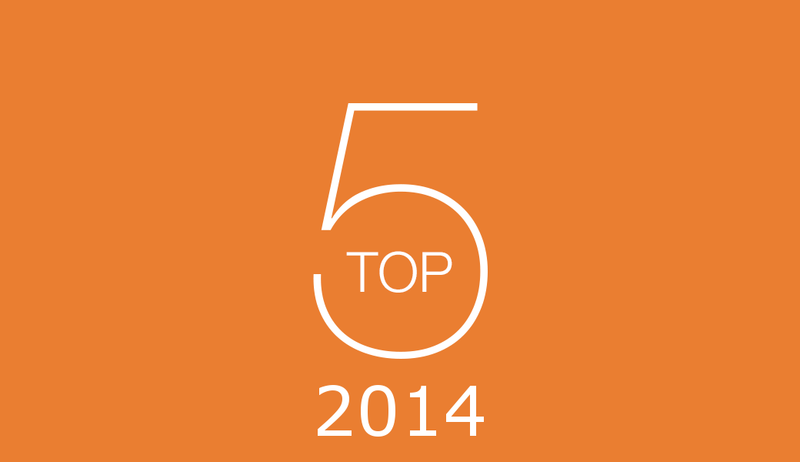 As things move fast in our industry, quite a few things have happened in the last 6 months. Huawei did a demo of U-LTE in Mobile World Congress this year and LTE-U has been a constant topic of discussion in various 3GPP meetings. A half-day workshop is due to take place in June to discuss this topic further. In the meantime I have summarised some of the discussions that took place (unofficially?) in Jan 2014 between the interested parties. 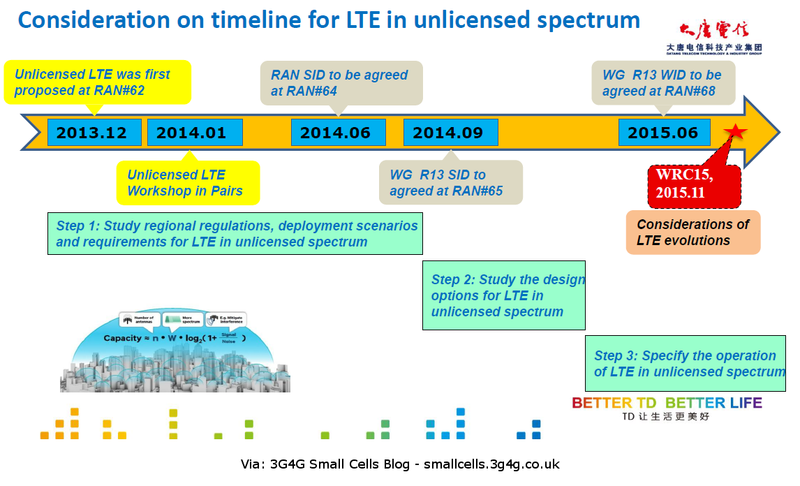 To be clear, the discussions for LTE-U are centred on the 5GHz unlicensed spectrum. As you can see from the picture above, there is a massive amount of spectrum that is available, either free to use (unlicensed) or in a lightly licensed way. There are strict rules and regulations in place to make sure this license is not misused or monopolised. There will be a need for Dynamic Spectrum Access (DSA) techniques that I have discussed here. 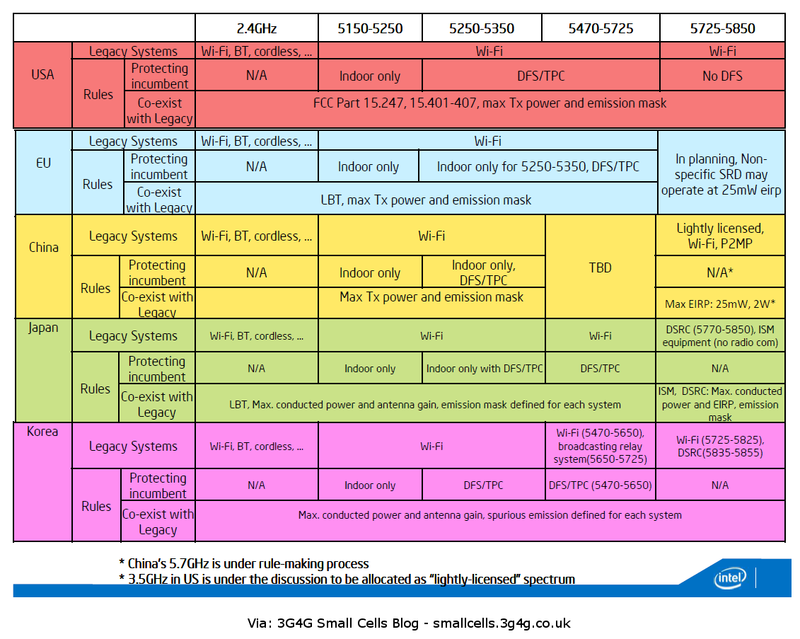 The current LTE standards do not have a DSA inbuilt and hence referred to as "Rude". The following is from a recent Light Reading article. 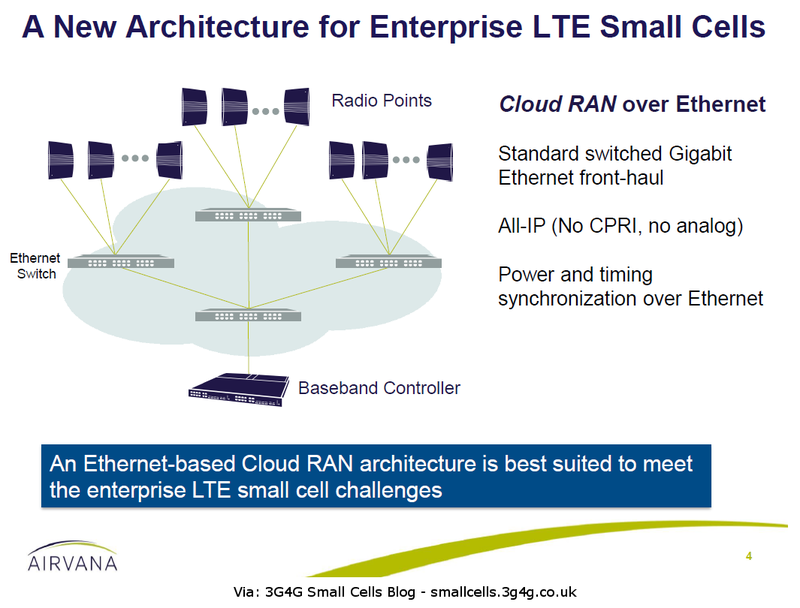 The technical concern with LTE-U, as Peters describes it, is that LTE is a "rude" technology. WiFi includes a "politeness protocol" that LTE lacks, meaning that WiFi will back off if it senses interference from other users. Eventually rude ol' LTE operating in WiFi's polite bands could take over the band. 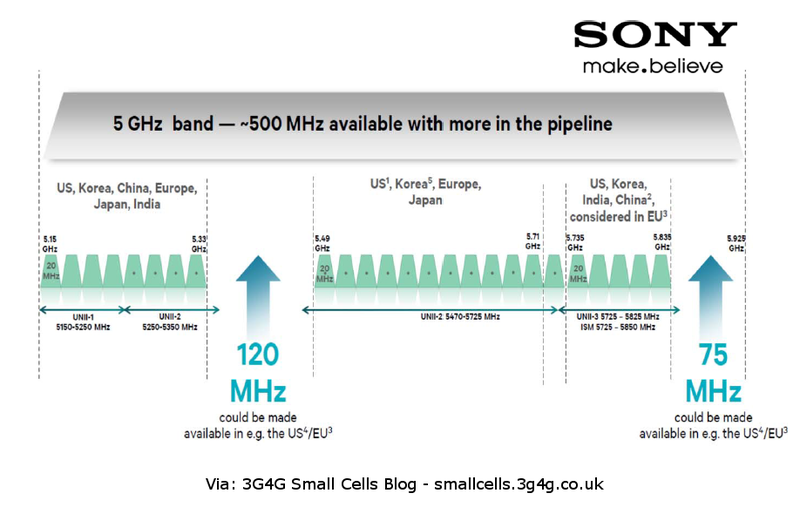 The 3GPP called another unofficial meeting in January to discuss concerns around LTE-U, which also included the potential effect on the value of licensed spectrum, the need for international harmonization of the unlicensed bands used for LTE-U, and whether the technology would be for downlink only or uplink as well. The group met again in March, primarily to work out timing for the new technology's deployment. 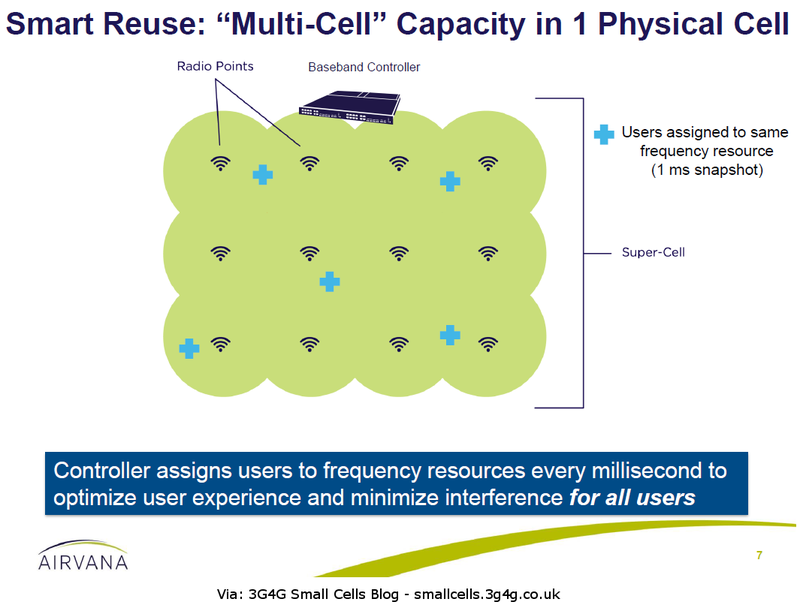 Huawei presentation explains why unlicensed carrier offloading, see the embedded presentation for details. Nokia has even gone ahead and done simulations for different scenarios. 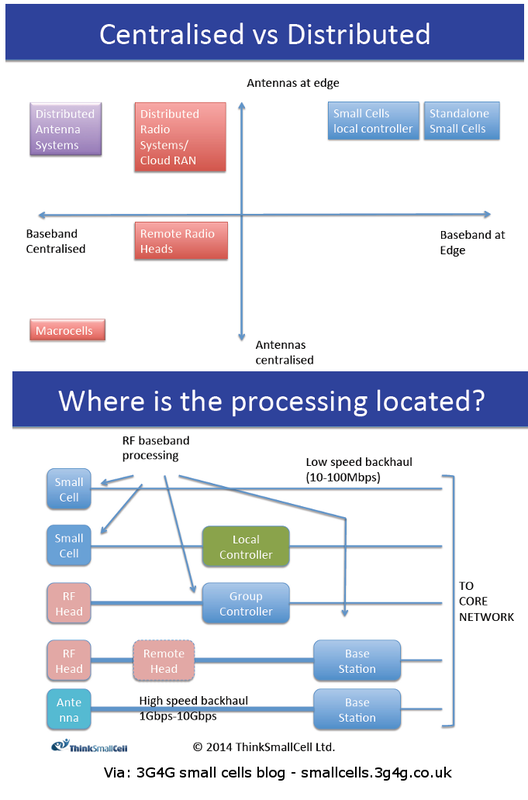 The scenario above shows LTE deployment in the same unlicensed band as WLAN as you can see, the results are similar to the interference in WLAN-WLAN case. 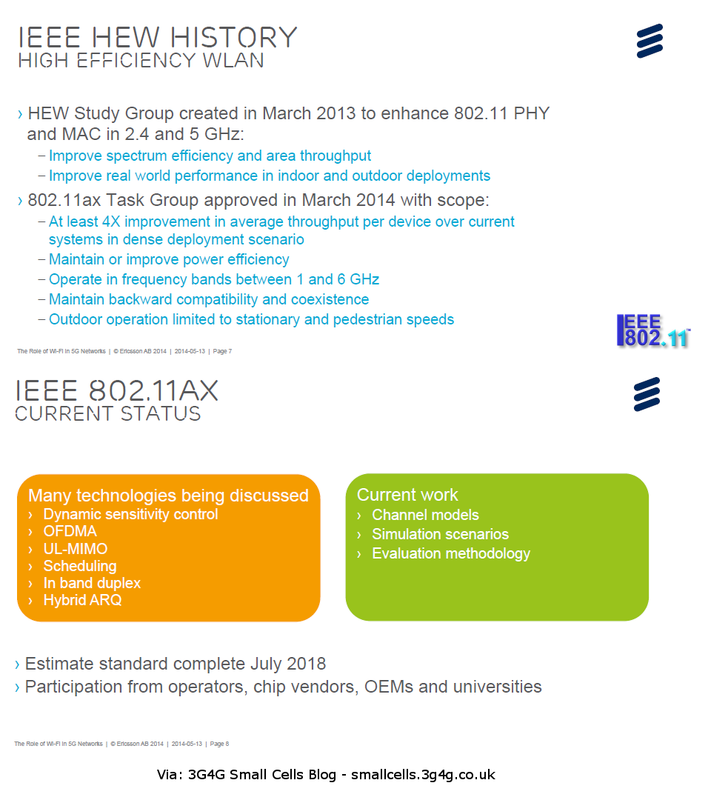 There is also a roadmap to how LTE-U standardisation will work in 3GPP, hopefully after the workshop in June, we will probably hear more. 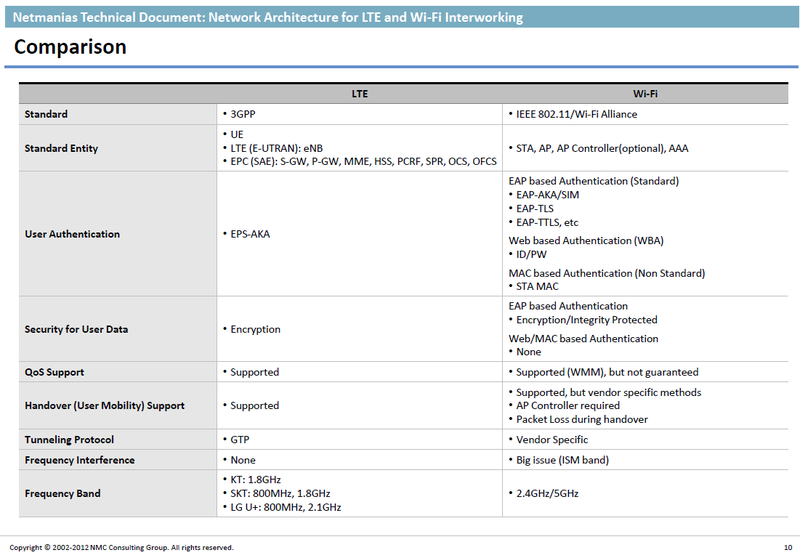 As expected, some of the operators with heavy investments in WiFi (like AT&T) have some reservations on LTE-U. Some analysts on the other hand are sceptical on how much savings there would be, taking the interference into account. 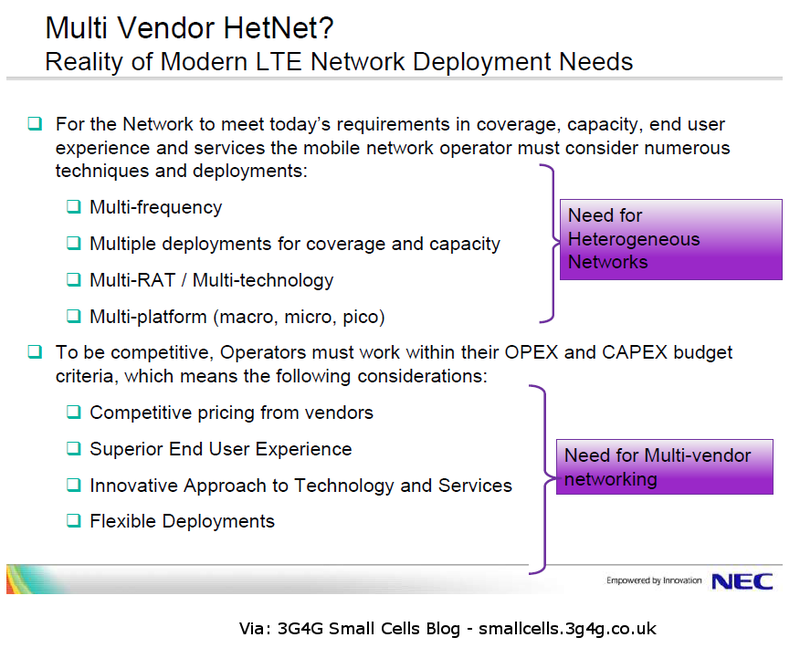 Note that spectrum is just one part of deployment costs, there are many other factors to consider. 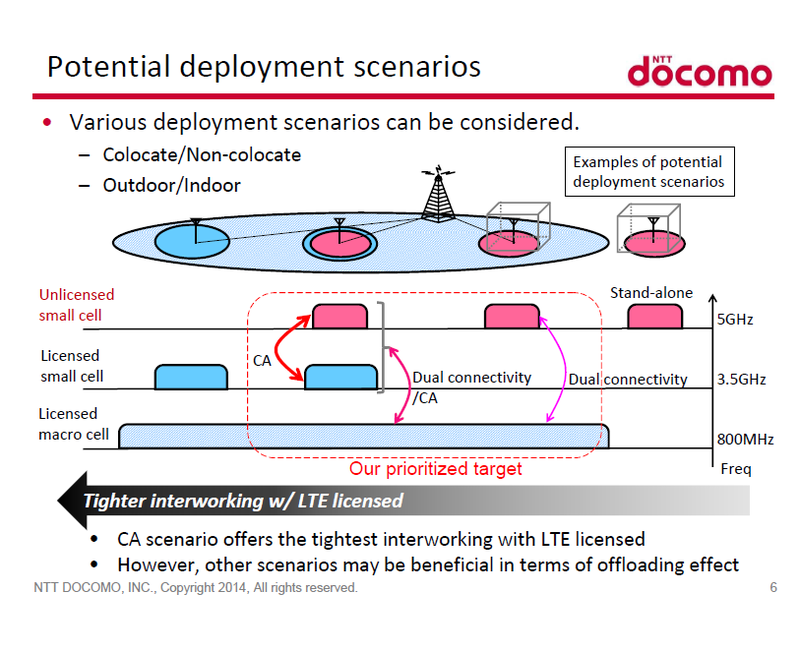 Personally, I don't have an issue whether this will work or not, it definitely would do but with all the advancements in LTE-Wi-Fi Interworking, I think we may be able to do a better job with just selective deployment of LTE-U and using technologies like MAPCON, IFOM, Hotspot 2.0, etc. 3GPP held their workshop on unlicensed LTE on 13/06/2014. See the news on 3GPP website here. All documents are available here.